This post may contain affiliate links, which means I will earn a small commission on purchases made through these links. I assure you that I only recommend products and services that I think can be useful to you. Thanks for reading.. 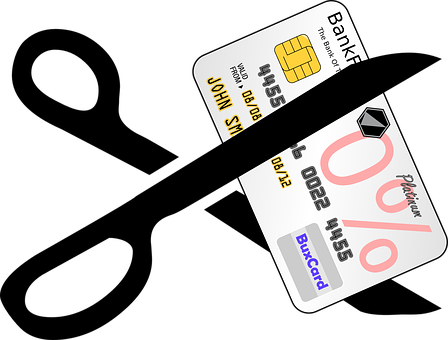 Wondering if you have any options to eliminate credit card debt? The first thing you need to do is assess the damage, get out all of your credit card statements and your family budget. If you do not have a budget, you are long overdue for one! In order to fix the issue, you must know where you are right now. When you are hemorrhaging money, this is the bandage that will stop the bleeding! Everywhere you look today, there are companies offering to consolidate your debts, these are debt consolidators or negotiators who will deal with your creditors and try to reduce your monthly payments. This can be an option; however, you should know that you will still be responsible for part, if not a majority of the debt. These programs are not debt elimination per se, they are consolidations. While there are tons of companies out there whose job is to eliminate credit card debt, and they may offer some solutions, before you set up an account with one of these agencies, you may be better served to pick up the phone yourself. Call your credit card companies and make a settlement offer. Initially, they will try to set you up on payment plans and the like, but if what you want is to eliminate credit card debt, do hold out for reduced settlements on your account. Some creditors will go for this because it means they will get paid something, whereas if you file bankruptcy they get nothing! Stick to your guns during these negotiations, do not let them hard sell you into an agreement you know you cannot manage. If negotiating with creditors yourself is not your cup of tea, there are companies that can do this for you for a fee. But be warned that you should do your due diligence in finding a reputable company that offers this service. There can come a time when the only sensible thing to do is file bankruptcy. If your current and future incomes are simply not going to be sufficient for paying your debt, you need immediate help in eliminating credit card debt. Failure to pay, make alternative arrangements or file for bankruptcy, can put any assets you own in jeopardy. Some debt collectors have no qualms about attaching liens to owned property and garnishing your wages. As you can see, there are a few ways to begin getting your financial life under control. Which you choose will depend a great deal on your current income to debt ratio. If you can manage consolidation, your credit score may not be affected. However, do not feel bad if settlement or even bankruptcy is your only option to eliminate credit card debt. You will take an immediate hit to your credit score, but by following sound money management principles, in due course of time, you can overcome this situation and get back on solid footing, once again.